Harare - It is not yet Uhuru for #ThisFlag leader Evan Mawarire. After the riots that rocked the country a week ago, the charismatic leader remains detained at the Harare Remand Prison. His charge sheet say he tried to subvert a constitutionally-elected government. Bail application has been again postponed to Friday. According to the NewsDay, High Court judge Justice Tawanda Chitapi yesterday postponed Mawarire’s matter following an application by the Prosecutor-General (PG)’s Office. He was seeking postponement of the matter on the basis that it had received the application late and had not had time to file a response. “Respondent (State) seeks postponement of the matter to Friday January 25. The reason being that the application was served on the respondent very late yesterday (Tuesday) and as such, there was not enough time to prepare a response,” PG’s Office said. 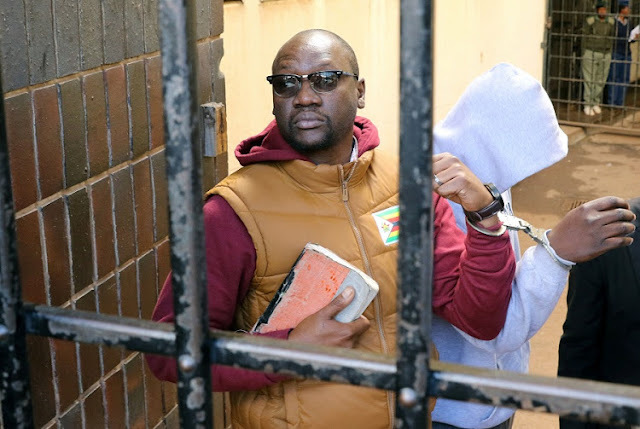 Mawarire is being charged with contravening section 22(2) (a) (iii) of the Criminal Law (Codification and Reform) Act or in the alternative being charged with inciting public violence as envisaged under section 187(1) (b) as read with section 36(1) (a) of the code. If convicted, Mawarire faces up to 20 years in prison. However, in his application, the cleric maintained his innocence, challenging the State to prove if his utterances were in any way close to inciting violence or an attempt to overthrow President Emmerson Mnangagwa’s government.